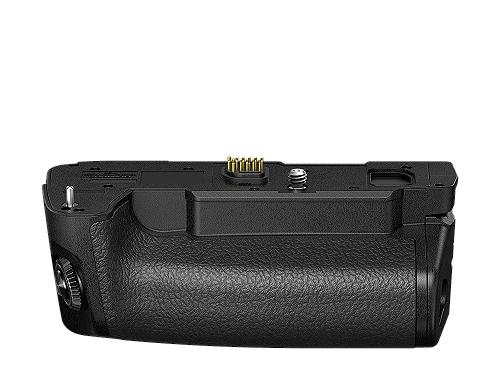 With a dust, splash and freezeproof ( Up to ‑10°C) construction and a new ergonomic design, the HLD‑9 power battery grip offers convenience and extra reliability to the Olympus OM‑D E‑M1 Mark II. 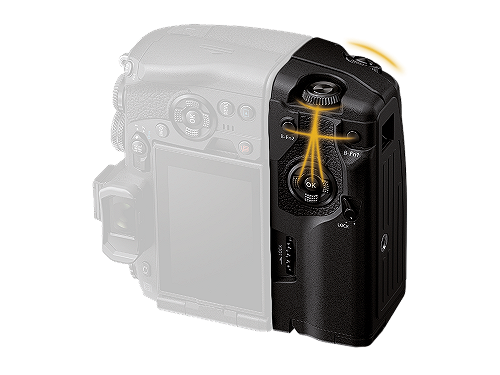 With this HLD‑9, the user will have the power of one, BLH‑1 Lithium Ion Rechargeable Battery in the camera body and a further one in the HLD‑9. 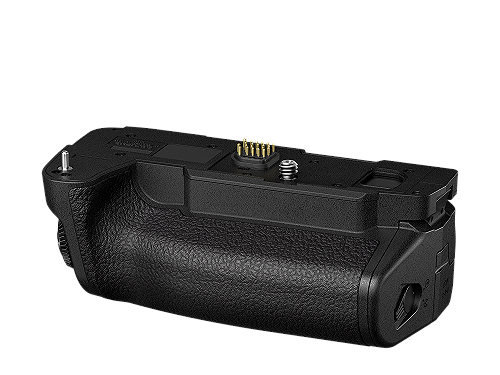 The rear of the HLD‑9 power battery holder is equipped with the same arrow pad, two control dials, and two function buttons, as on the camera body so that there are near identical controls whether the camera is held in landscape or portrait position. The optional AC Adapter, AC‑5 can be used for studio photography or other situations when using the camera for long periods of time so that you don’t need to worry about battery levels. 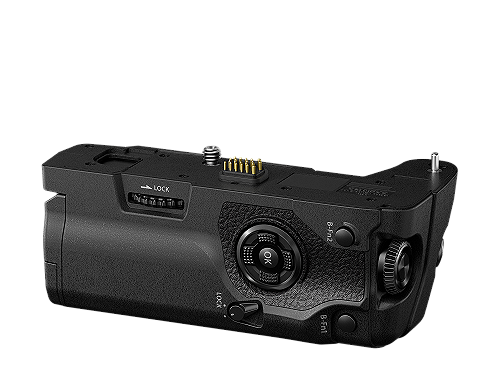 You can also attach the optional Grip Strap, GS‑5 (optional available) for an enhanced fit when using a telephoto lens. The shoulder strap can also be attached simultaneously.